My girlfriend and I decided to take a few hours off from work to enjoy this amazing warm weather we're having today! It was also the perfect excuse to wear some of my new summertime goodies! I love everything about this except that you were at the pool & I was at work. Not fair! man what I would give to be able to take a few hours off from work to hit up the pool lol. I love your maxi dress! In love with this dress, it reminds me of Missoni! Totally makes me want to paint a pattern with these colors! Those sandals are so perfect, especially since they're glitter! I wish Zara still sold them - I think that thought every time I see them on your Instagram. 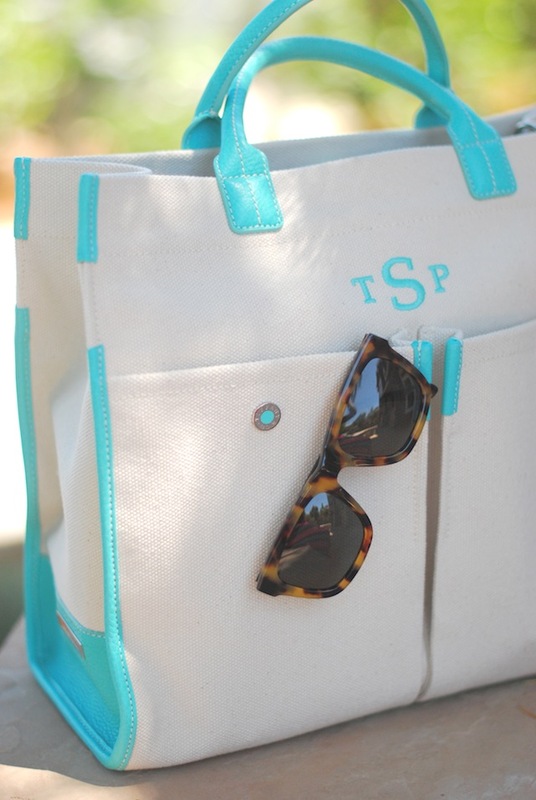 Beautiful pool look, and fab tote! So gorgeous! The colours, the maxi dress and your bag really epitomize summer for me! Absolutely loving the Gorjana x Bauble Bar bracelets! So gorgeous! And jealous of your sunny day spent poolside! We're in a series of rainy gray days, so ready for summer to hit full force! Looking gorgeous as always, Taylor! That gold bracelet is GORGEOUS. I love it! Absolutely love the dress, so gorgeous! You are total eye candy in that dress, Taylor! So cute! Loving the print on your dress! That maxi is stunning... no wait... you're stunning in it! I need more maxi dresses... they're so easy-breezy-chic. I like your sunnies very much! that bag is SO adorable! if only it weren't so expensive :( i would get it in a heartbeat! Love it all! You must have been the most sophisticated woman at the pool! Love those glasses and also loving a couple of hours off for pool time - I dream of those moments! I am loving the bag!!! Bet you made quite a splash at the pool. You look gorgeous! I love that bag!! Love every single piece of it! the dress is so pretty! love this summer look! I am downright obsessed with the Tiffany tote! It's really fantastic and perfect for the summer. Ooh! You look so tan! love that dress + the bracelets! LOVE everything about this dress - and that bag! too cute for words. What happened to your recipes?! I loved how healthy they were and enjoyed reading them. Please do more. Love your dress, the colours are amazing! BEAUTIFUL OUTFIT! But I'm sorry, $240 for a polyester dress is outrageous. The dress is amazing and I LOVE the wrap bracelet. Have to get one! Would you mind checking out my new blog? I would appreciate your comments and ideas. Love all of BaubleBar's new bracelets! Amazing outfit! You are glowing! Loving the colors of that dress! Love this pool day look! Bright and beautiful! I love that Tiffany summer bag! LOVE! that tiffany bag - OMG. Oh my.....this maxi dress is sooo adorable! You look gorgeous, loving all the colours. I need that Gorgana bracelet.